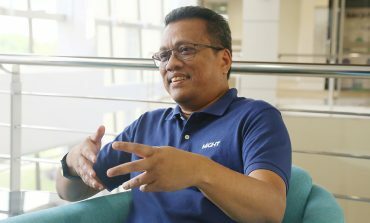 ZAKWAN ZABIDI is a Senior Vice President at Malaysian Industry-Government Group for High Technology (MIGHT). Zakwan currently leads the development of industry-led New National Car Project (NNCP) by mobilising joint-efforts across various ministries, agencies, industries and academia. 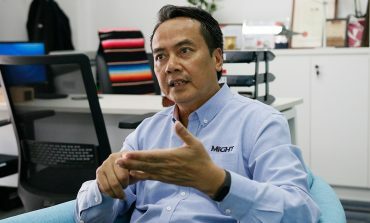 Zakwan lifts leadership at MIGHT with his management experience and knowledge acquired over 20 years across a broad range of high-tech industries. In his capacity, Zakwan strengthens MIGHT’s best practices in project management and planning. To date, Zakwan has played a key role in a number of MIGHT’s programs and initiatives involving national blueprints, strategic roadmaps, innovation models and frameworks, policy and strategy development, foresight, technology audit and business strategy development. After 150 years, what’s next? Car companies have recently been telling us what the car of 2020 will be like: autonomous is one word used, electric is another, and it will be connected to the internet too. Sounds exciting? The directions being proposed are a very good starting point to look even further and this begs us asking the question: what would the car of 2050 look like? For a start, will there even be cars in 2050? Will an invention that will be 150 years old by then get replaced by something better? Would environmental concerns kill it? Would people become tired of getting behind the wheel as recent studies suggest? One plausible answer seems to be “maybe”, but the reality is that, an automotive is a convenient and flexible means of transportation. It fulfils the people’s need to move around freely and independently. And if done right, the automotive sector can be a sustainable and safe means of transportation. In the past, automakers compete to come up with the most attractive and appealing cars. Now however, automakers are competing to introduce new breakthrough technologies. The Consumer Electronics Show (CES) has been the showcase of consumer technology innovation since 1967. This year’s CES, held in Las Vegas has been named one of USA Today’s 10 Best automotive shows. CES has now been the centre stage for companies to show off concept vehicles that encapsulate the future of car technology. The disruption of connected, autonomous, shared, electric and lightweight vehicles is one of the many changes the industry is undergoing. We will see more changes in the next ten years than we did in the last 15. Nobody can really foresee, in details, the future of the automotive industry but four predictions from industry analysts say a little bit about where we are heading. Just to give you a scenario, by 2030, 15% of the vehicles sold could be fully autonomous. As of now, no autonomous car has yet to be sold commercially. By 2030, electric cars will be 25% of new cars sold in urban areas. This is an increase over less than 1% sold globally now. 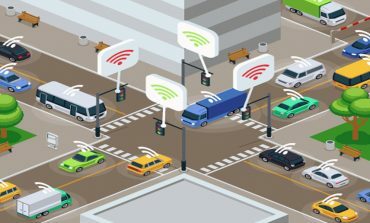 By 2030 more than 25% of cars will be on shared mobility platforms and by 2025, all cars will be connected to the internet. I personally believe that these are conservative predictions. Consumers are expecting changes to happen much faster and sooner. Firstly, consumers are expecting a more relaxing and safer drive. Today more than 90% of accidents are consequences of human errors. Distracted driving has been one of the significant causes. Death rates on Malaysian roads is the third highest globally, more than China and India. Based on this statistics, against the estimated population of 30 million Malaysians, about 7,000 to 8,000 people in the country die on the road every year. 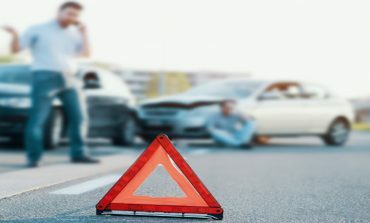 As cars have more control over the driving, accidents and fatality can be reduced and so does insurance premium. Secondly, consumers also want more a productive and connected drive. For example, in the US, a driver spends on average one hour per day driving. People living in Kuala Lumpur spend about 53 minutes stuck in the traffic every day based on a recent study by BCG. Autonomous vehicles could free up as much as 50 minutes a day for consumers, who will be able to spend traveling time working, relaxing, or accessing entertainment. The time saved by commuting every day might add up globally to a mind-blowing one billion hours. It could also create a large pool of values—potentially generating global digital-media revenues for every additional minute people spend on their mobile while in a car. Thirdly, consumers want more choices and convenience. Some people don’t want to give up driving completely. What they want is the option to decide when to drive and when to let the car take over. Finally, consumers are asking for more efficiency without comprising excitement. 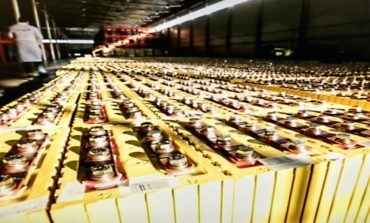 Batteries are getting better and cheaper. According to McKinsey, from 2010 to 2016, battery pack prices fell roughly 80% from $1,000/kWh to $227/kWh and the estimated range for many electric vehicles has increased significantly. The announcement of the New National Car Project (NNCP) by Prime Minister Tun Dr Mahathir during the 24th Nikkei Conference at the Future of Asia last year provides an opportunity for Malaysian based companies to be at the forefront of the global automotive industry evolution. The NNCP is an opportunity for Malaysia to acquire and showcase our engineering capabilities. More importantly, the project will also strengthen and complement other sectors, such as supply chain and other new frontiers. In the process, we will also able to nurture a pool of young and talented workforce with the highest level of competencies, masters of new technologies with the ability to help Malaysia adapt to the Fourth Industrial Revolution’s challenges that lie ahead. The effort to introduce a high-tech automotive manufacturing platform will provide opportunities for local companies and entrepreneurs to explore new businesses as well as enhance knowledge in various engineering areas such as computer programming, mechanical, electrical and electronics through technology transfer. The New National Car Project is not about what we have now but it is more about preparing the future of our manufacturing sector. As the future is not predetermined, it depends on what we do today. In the face of every great challenge, there is always a choice. The choice we have to make today is a collective one. Everyone includes the government, industry, academia, research institutions and NGO has a role to play. The disruption in the automotive industry is changing as we speak and will come whether we like or not. These changes will impact how we’ll travel, use our cars, what new services will be offered, and which players will make up the evolving automotive ecosystem. The New National Car Project is an opportunity to shape and develop a new ecosystem to ensure a scalable and sustainable model is in place to gear us up for success in the next economic landscape.